Utah moved up to No. 18 and Utah State remained at No. 14 in the latest AP college football poll. 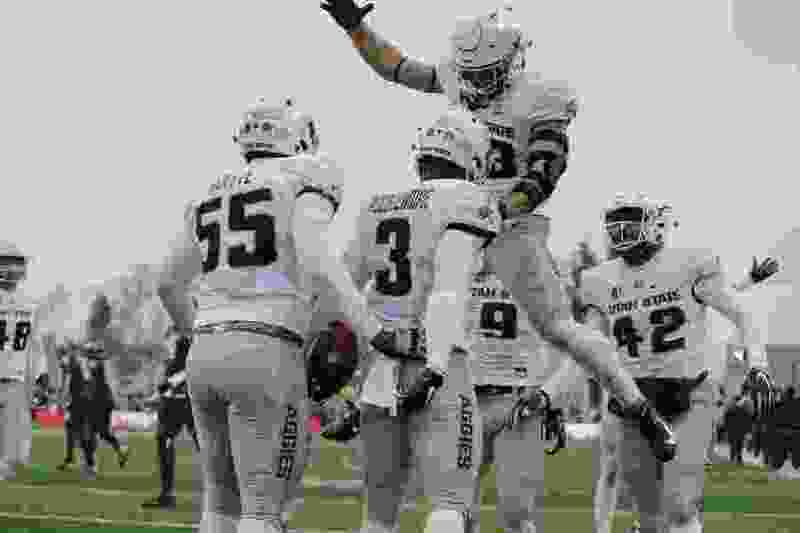 The Utes rolled over Colorado 30-7 in Boulder, Colo. and clinched the Pac-12 South title, while the Aggies held off Colorado State 29-24 in Fort Collins, Colo. to set up a Saturday showdown with Boise State in Boise to determine the Mountain West’s Mountain Division winner. Others receiving votes: Fresno St. 100, NC State 45, Cincinnati 43, Missouri 34, Texas A&M 29, Auburn 11, Stanford 8, Iowa 8, UAB 5, Houston 3, Wisconsin 2, Buffalo 1, Troy 1. No. 19 Syracuse and No. 25 Iowa State dropped seven spots after lopsided losses to other ranked teams on Saturday. No. 12 West Virginia fell five spots out of the top 10 after losing at Oklahoma State . — Cincinnati dropped out of the ranking after being soundly beaten by UCF. — Boston College fell out of the Top 25 after losing at Florida State. SEC — 6 teams (1, 5, 8t, 13, 17, 22). Big Ten — 4 (4, 10, 15, 20). Big 12 — 4 (6, 11, 12, 25). ACC — 3 (2, 19, 24). Pac-12 — 3 (7, 16, 18). Mountain West — 2 (14, 21). No. 6 Oklahoma at No. 12 West Virginia, Friday. The winner makes the Big 12 championship game. Maybe the loser, too. No. 16 Washington at No. 7 Washington State, Friday. Apple Cup winner wins the Pac-12 North. No. 4 Michigan at No. 10 Ohio State. The Big Ten East goes to the winner. No. 14 Utah State at No. 21 Boise State. The winner captures the Mountain West’s Mountain Division.